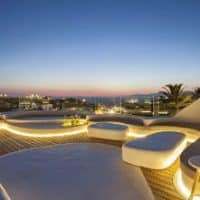 Want to lift some weights while in Mykonos? If your hotel doesn’t have a gym, here are the places to go. 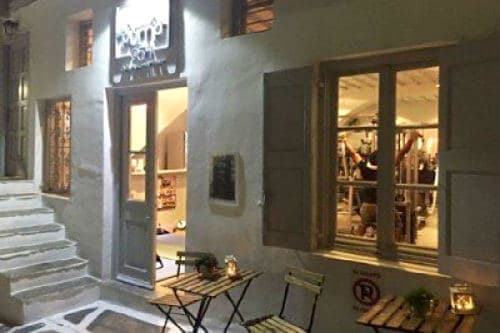 Fully-equipped gym near Mykonos Town, frequented by gay customers. 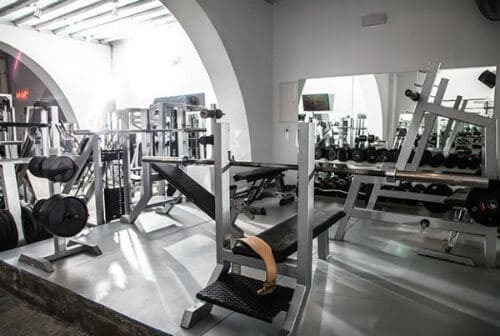 Facilities at Bodywork include a weight room with both machines & free weights, a cardio room, treadmills, bikes & steps, and a wellness room with yoga & Pilates equipment. 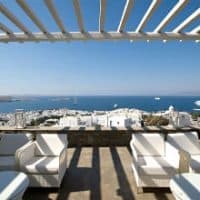 Located 1 km from Mykonos Town. Bus connections from the town to Plati Yialos Beach pass right in front of the gym. Daily and weekly passes available. Closed on Sundays. 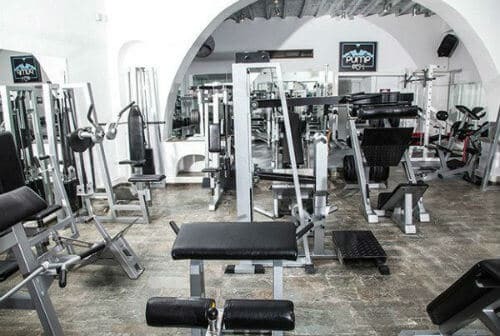 Very gay-popular gym located in the heart of Mykonos Town. Pump @54 packs a lot of kit into a relatively small space. 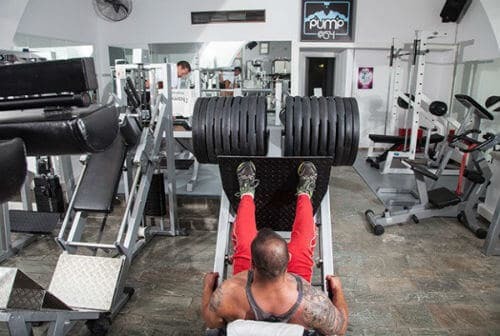 Most gym bunnies will find enough weights and machines for a pre-beach or party pump up. Daily membership fee is 12€, or buy a 3-day pass for 27€ or 5-day pass for 40€.